Flutatious are an incredible group of musicians who play music that is hard to categorise and is variously described as Folk, Rock, Celtic, Prog, Psychedelic and Trance. Over the last few years they have built a large following due to their excellent live performances at numerous festivals and gigs and due to their self produced albums. Magick Eye first spotted Flutatious at Alchemy Festival last year when they were amazed by their live show. The solid backbone of drummer Malcolm Bailey and bassist Bill Forwell, augmented by guitar whizz Andy Faulkner and keyboard maestro Gerald Williams with the unusual but mesmorising combination of flautist Michelle Devonshire and violinist Stella Ferguson out front had the crowd dancing wildly. 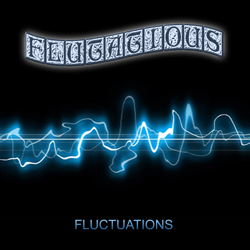 Now Flutatious and Magick Eye have joined forces to create the ‘Fluctuations’ EP. It features a number of tracks. The first two are live favourites recorded at their own studio and then finished and mixed by the great producer John Mitchell at Outhouse Studios. These two tracks ‘Spacechick’ and ‘Wendel The Witch’ showcase the power and melody of Flutatious at their best. Also included on the EP are two amazing dance mixes – one is a Flutatious favourite ‘Crystal Morning’ remixed by trance legends Astralasia and the other is ‘Spacechick’ remixed by another recent Magick Eye signing Spacehopper, who recently achieved a Beatport Chart No.1 with their debut single on Magick Eye. For more info on Flutatious check out their web site on www.flutatious.co.uk.